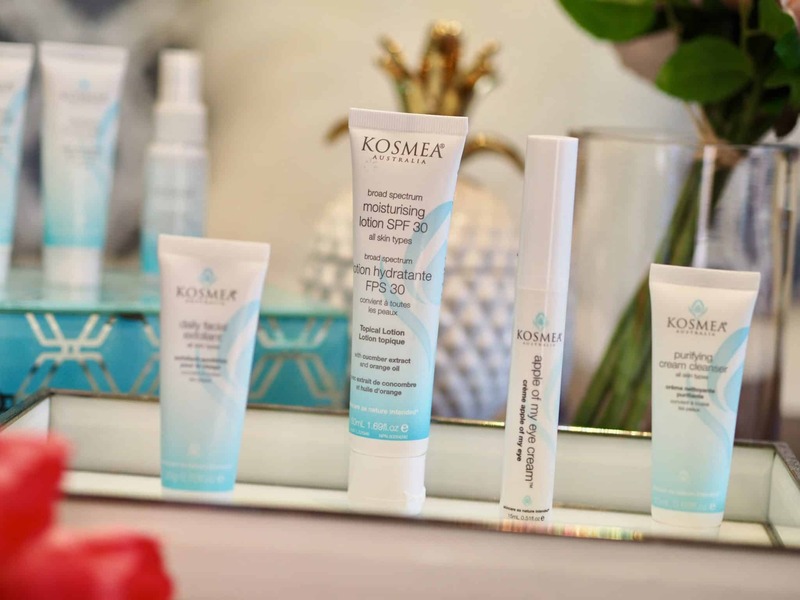 I have been using Kosmea products the last couple of weeks and am loving them all. These little goodies came with me on vacation as they are travel sized and fit perfectly in my luggage. 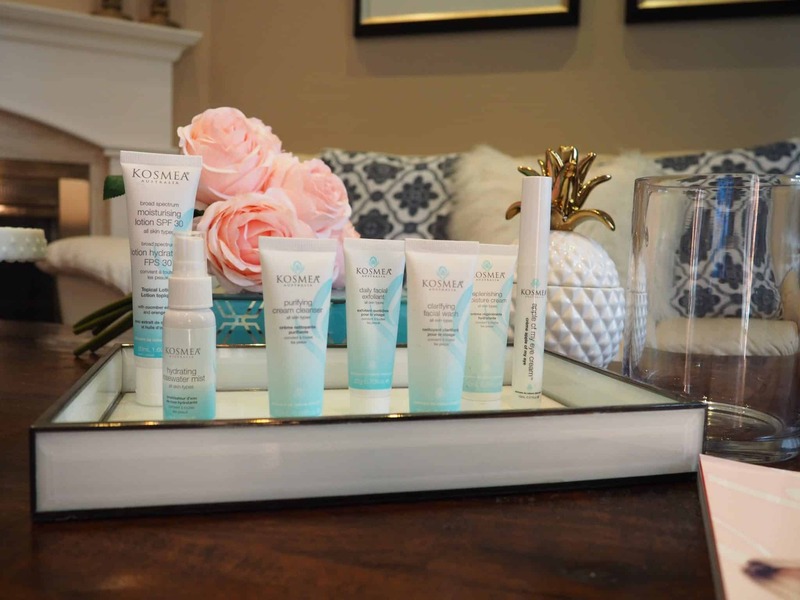 These products have been a life safer to my skin while on vacation. 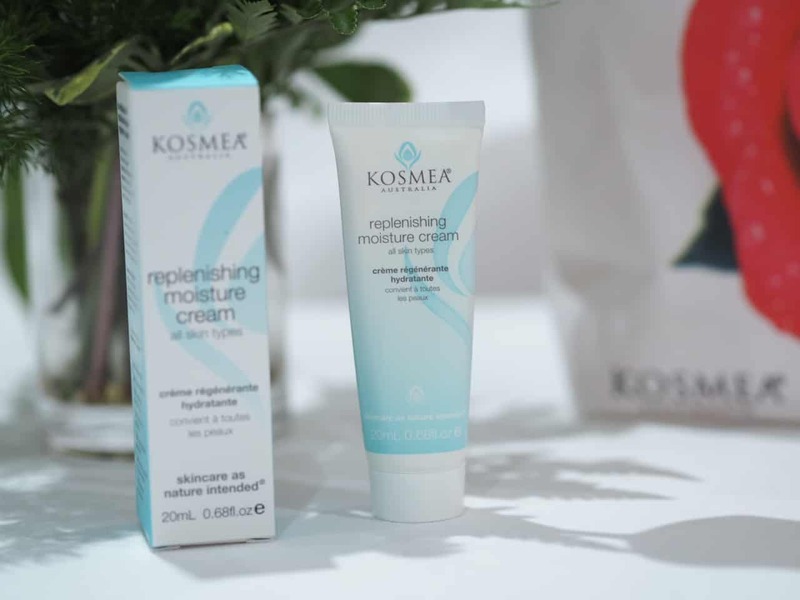 KOSMEA has formulated their natural skin care range around organic rosehip oil and the finest herbal, plant and flower extracts from Australia and around the world. This is a gentle, foaming facial wash that didn’t dry out my skin. This cleanser is great for all skin types. It was great at removing my makeup without drying out my skin. I love that this cleanser has a SLS-free foaming agent that is derived from coconut. It smells great too. How perfect, I was just in Florida so this moisturizing lotion with SPF 30 came in handy. The lotion has refreshing cucumber extract and aloe vera that helps with hydrating the skin while the zinc oxide helps protect from harmful UVA and UVB rays. This lotion applied easily without a greasy, heavy feel to it. 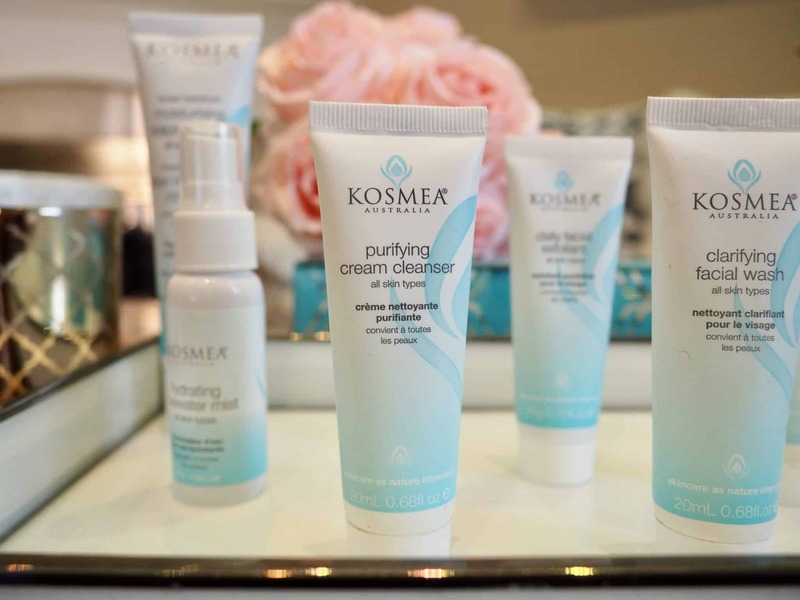 This Komea Purifying Cream Cleanser is another great cleanser that doesn’t dry out your skin. The cleanser removed my makeup and left my skin feeling soft and silky. This Eye Cream is the WINNER of the Best Eye Cream in Nature & Health Natural Beauty Awards 2014. 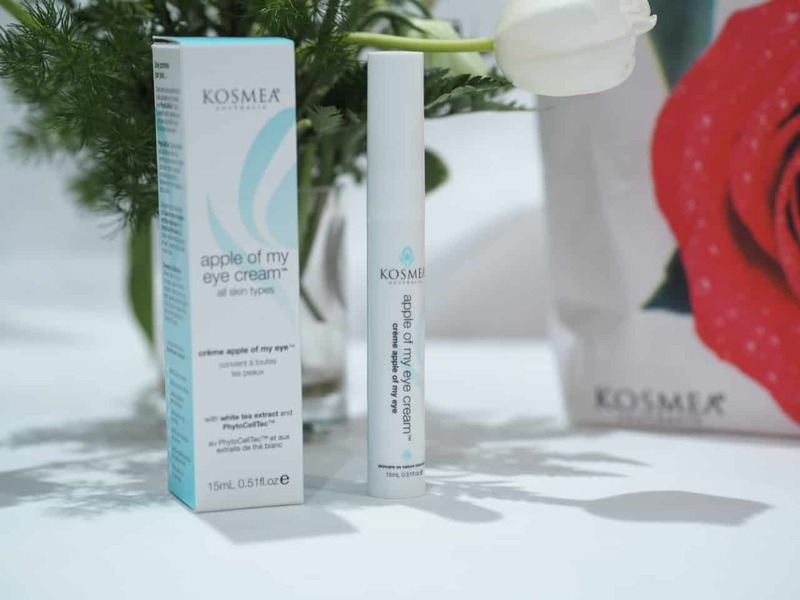 Kosmea Apple of My Eye™ Cream uses a clinically-studied, exclusive apple stem cell complex to actively combat the signs of ageing skin. PhytoCellTec™ is derived from the stem cells of the rare Swiss apple and has been shown to combat the signs of chronological ageing. 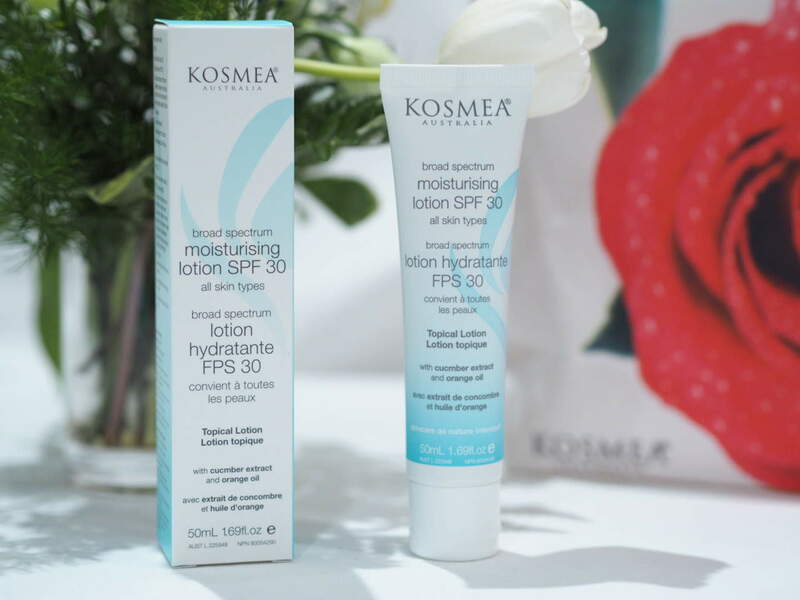 This specialised formula leaves skin feeling brighter, reinvigorated and looking younger. 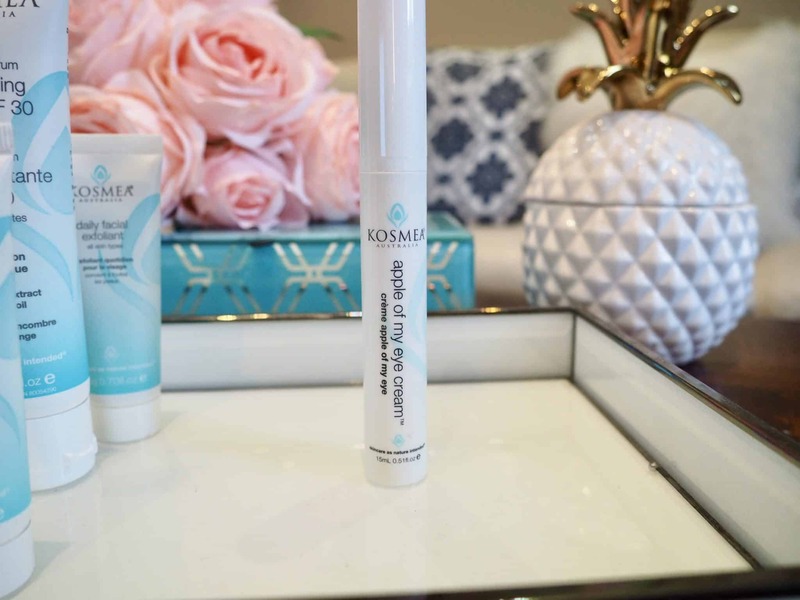 Formulated with Certified Organic Rosehip Oil and White Tea Extract to visibly brighten dark circles and smooth the appearance of fine lines and wrinkles. The lines around my eyes seem smoother (I call them laugh lines) and any dark circles are lighter. Overall my eye area looks brighter. 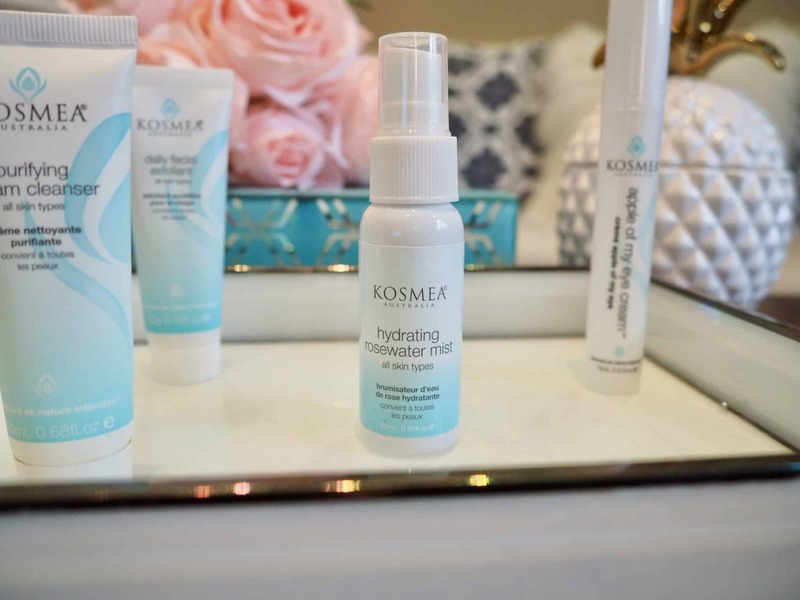 I love this Kosmea Hydrating Rosewater Mist. It is like an instant wake-up call. It is a cooling facial spray that revitalizes and rehydrates tired skin. The mist quenches dry skin when travelling (I had this in my purse). I sprayed this on my face a few times while on the airplane and always had this in my bag with me. I even use it for setting my makeup. 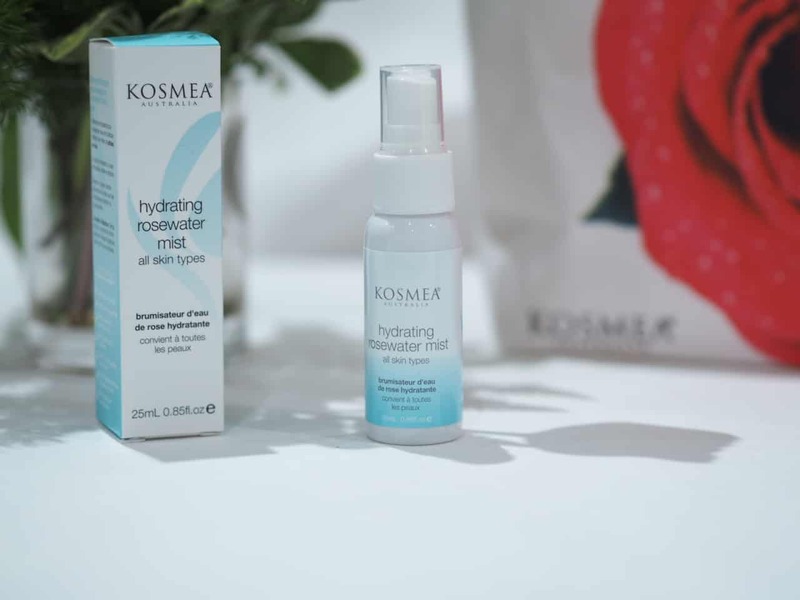 Kosmea Hydrating Rosewater Mist is made from delicately distilled rose petals to brighten, tone and enliven your skin. I love this stuff especially after coming back from vacation, it is so dry at home with the heating in the house and the extreme cold temperatures. My skin feels so refreshed when I use this. I will have to replenish this soon. 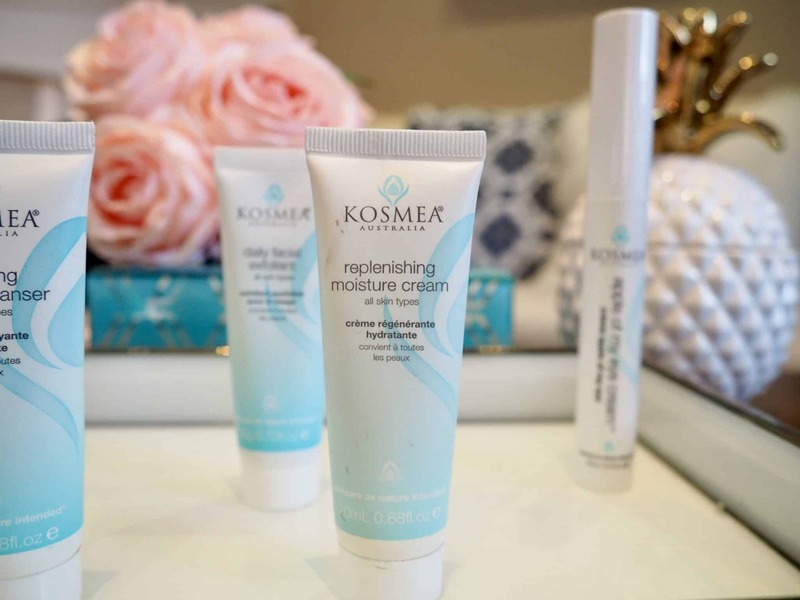 This Replenishing Moisture cream has saved my skin. First from the drying sun and now at home with the drying heat. The key natural ingredients in this moisture cream include certified organic rosehip oil, carrot oil, white tea extract, horsetail extract, and Shea butter. Each eco-friendly and refreshing cloth comes soaked in the freshly scented Rosehip Oil, Rose Geranium Oil and Rosewood Oil formulation. The packaging is 100% recyclable and biodegradable. Dermatologically and ophthalmological tested, the wipes are designed to gently and effectively remove make-up. 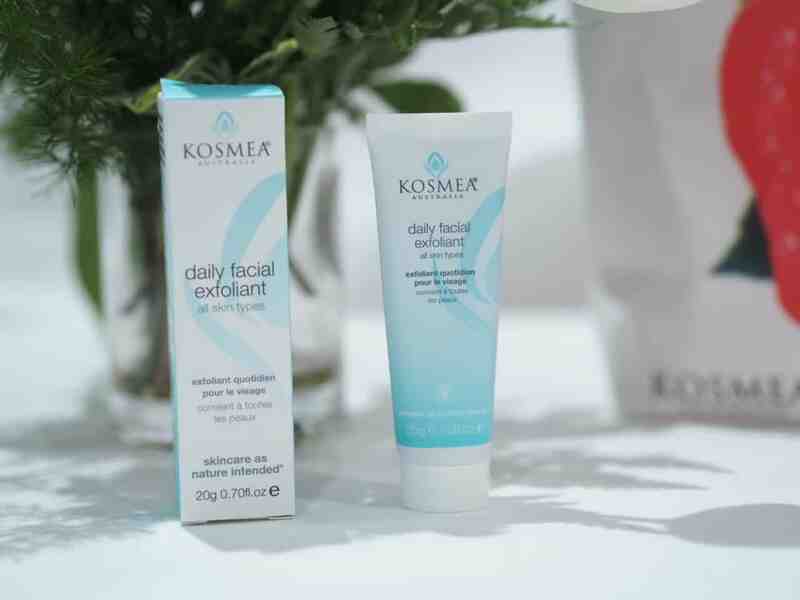 Kosmea Facial Cleansing Wipes also cleanse the skin, clearing dirt and impurities to reveal smooth, clean and hydrated skin after each use. I love these wipes. They remove all my makeup and are extremely refreshing and hydrating. 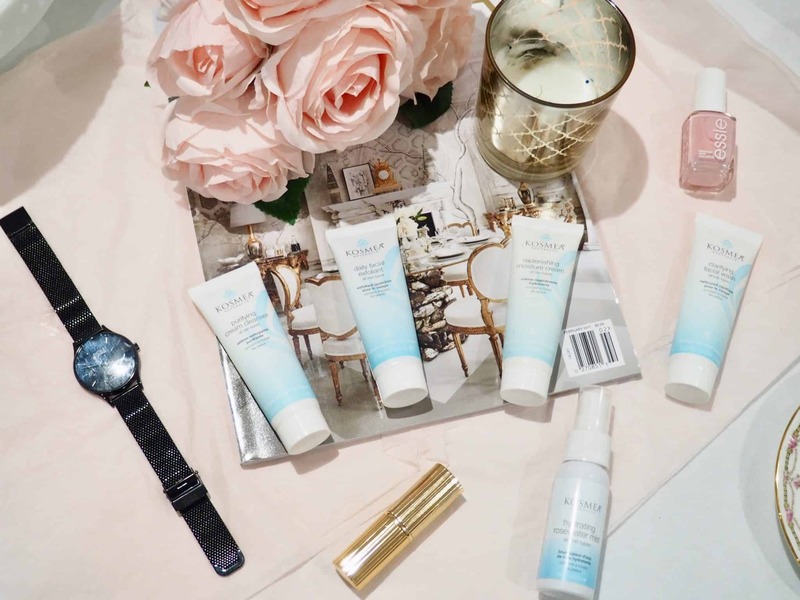 This gentle daily exfoliating treatment lifts off dirt, dead skin cells, excess makeup and removes impurities to reveal a smooth, radiant complexion. 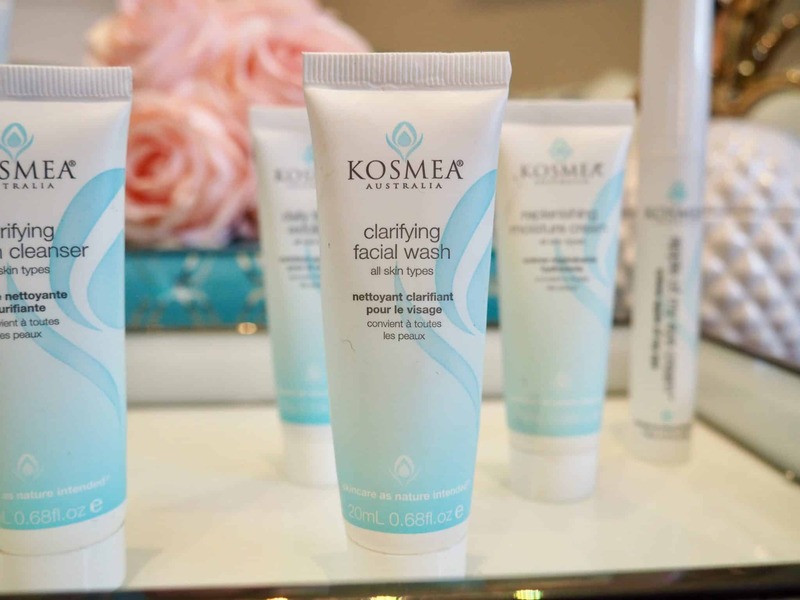 The textured wash helps stimulate cell renewal and circulation to aid in maintaining youthful skin. This exfoliant has crushed chamomile flowers that soothe and calm the skin while the ground rose hips gently exfoliate, leaving the skin deeply cleansed and radiant. Kaolin clay and rice flour draws out skin impurities to improve skin clarity. 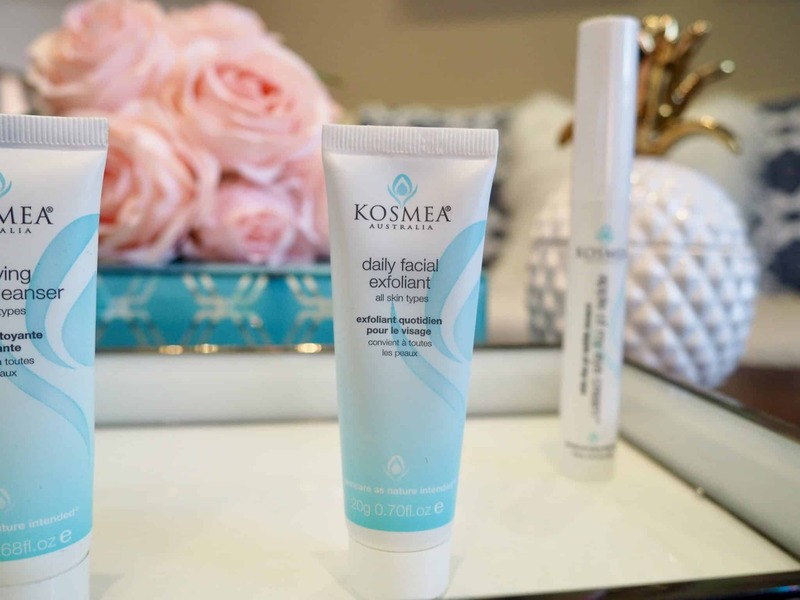 This exfoliant is so gentle on the skin that it can be used daily. 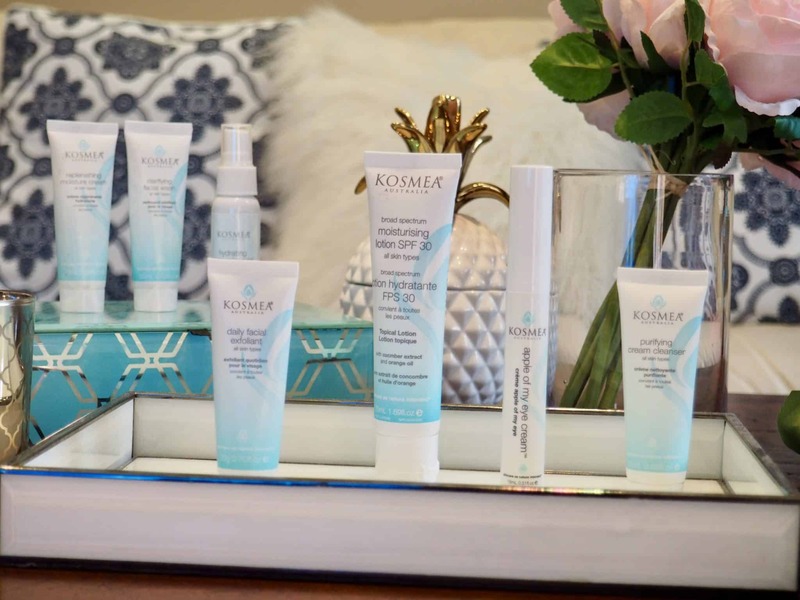 I love that these products are available in a package giving you the opportunity to discover Kosmea product before purchasing the full sized items. These are also great for travelling. 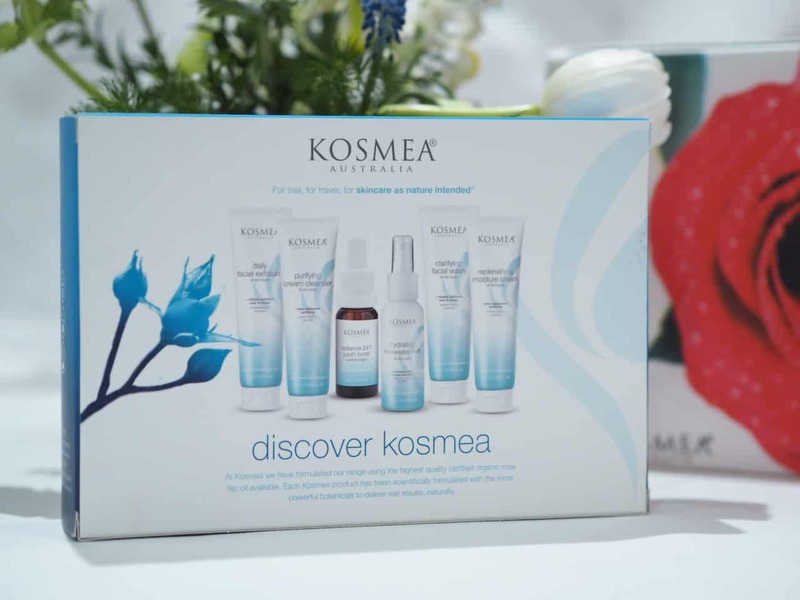 Have you tried any Kosmea Australia products? If you haven’t, you are missing out. 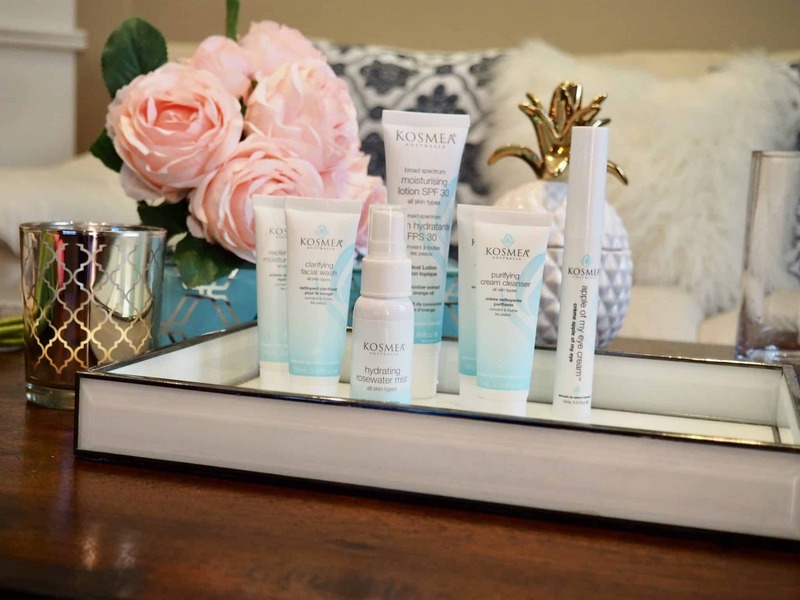 All of the products have been so nourishing to my skin. My daughters have even been stealing these from me – I’m constantly looking for them, and guess where they are, in their washroom. 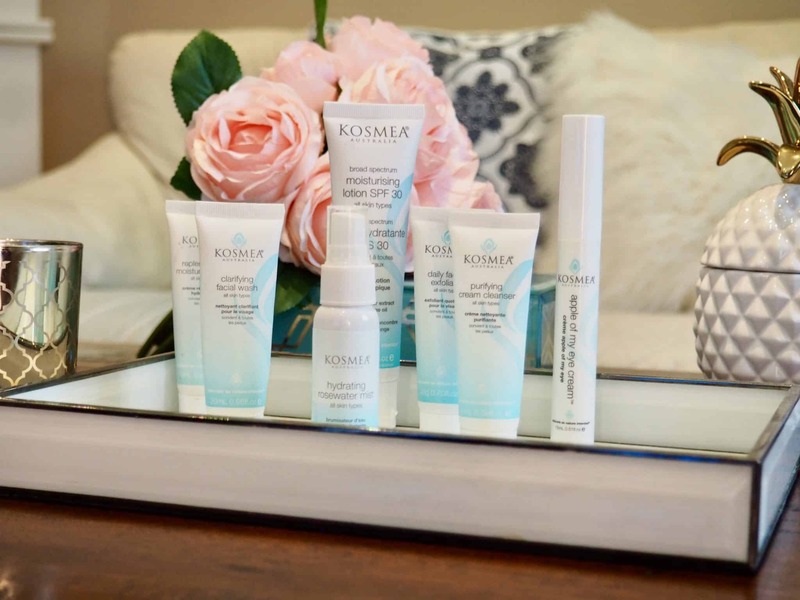 I feel that Kosmea skin care products are like food for my skin. PR samples for review. Not an Ad. Not Sponsored. I swear Diana, you could probably sell me on a piece of white paper with your fabulous reviews and photos!